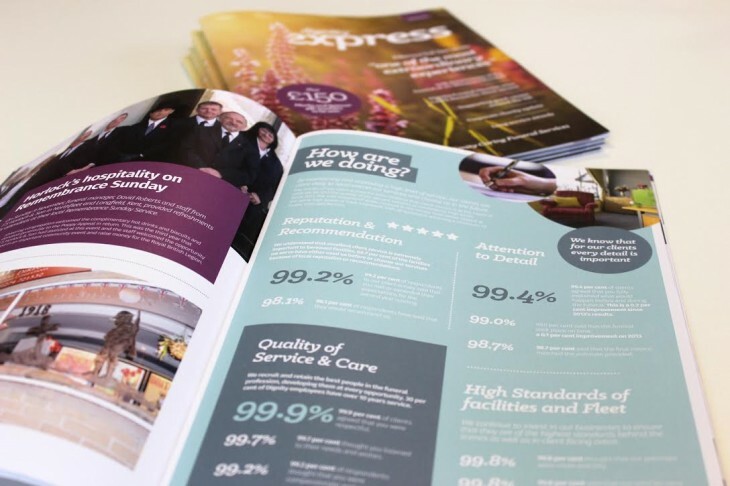 Dignity PLC have been a longstanding client of Ultimate’s for over 10 years, during this time Ultimate have been responsible for the design and production of their internal staff newsletter – called Dignity Express. 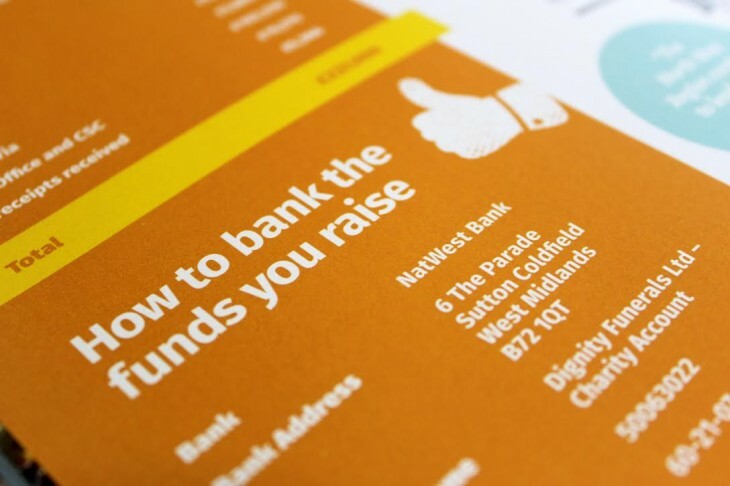 This has become a valued piece of internal communications material and is paramount for keeping their 700 branches up to date with latest news and events of Dignity. After 38 issues, last quarter Ultimate’s introduced a new and refreshed design style, which modernises Express and really transforms its look and feel. 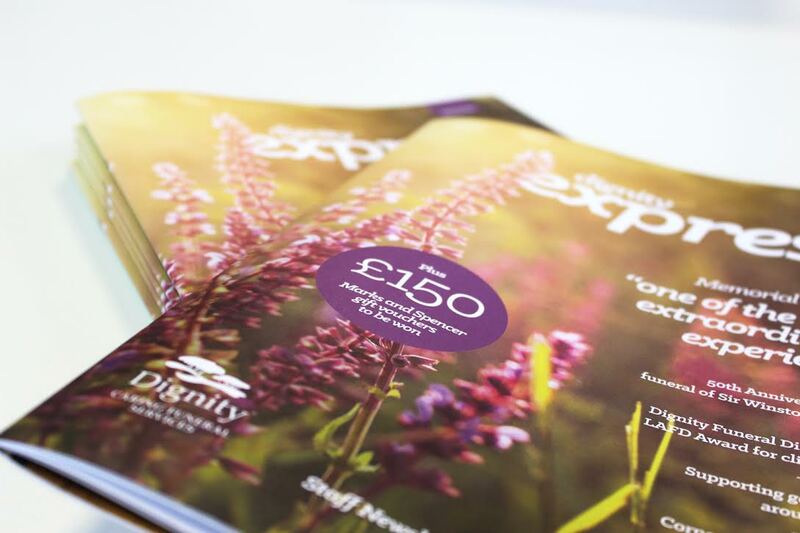 The new design of Dignity Express introduces an updated colour palette, using a classic set of colours, for a friendly approach that compliments the main corporate brand colours, along with vibrant new imagery style. 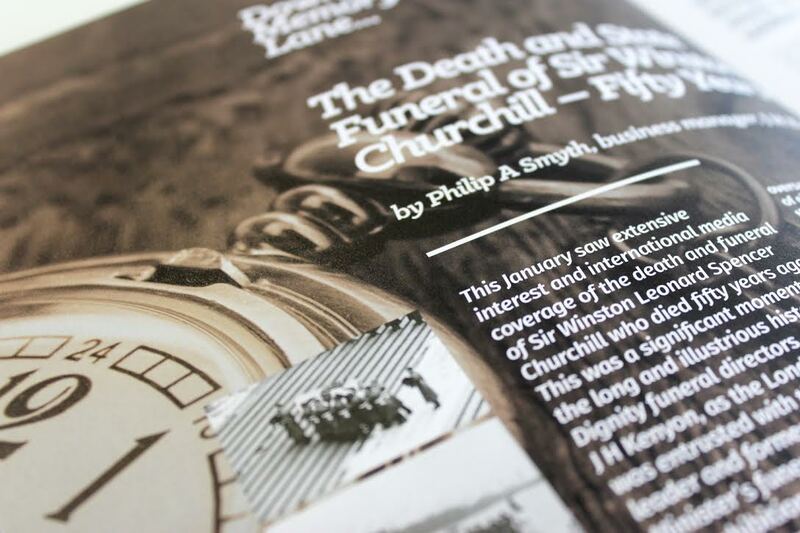 Inside the newsletter, the imagery bleeds into the margins to utilise space and gives more room for the copy and negative space in the document. The fonts have also been updated to make the design feel more versatile and give each spread a different feel, allowing areas of text stand out and add intrigue. We have introduced a new style for quotes within the newsletter, to make them easy to read and pull out key information from the articles to give an at a glance point of interest for the reader. The once glossy newsletter has now been printed, on a sophisticated uncoated stock to give it a more tactical feel to match the new design. 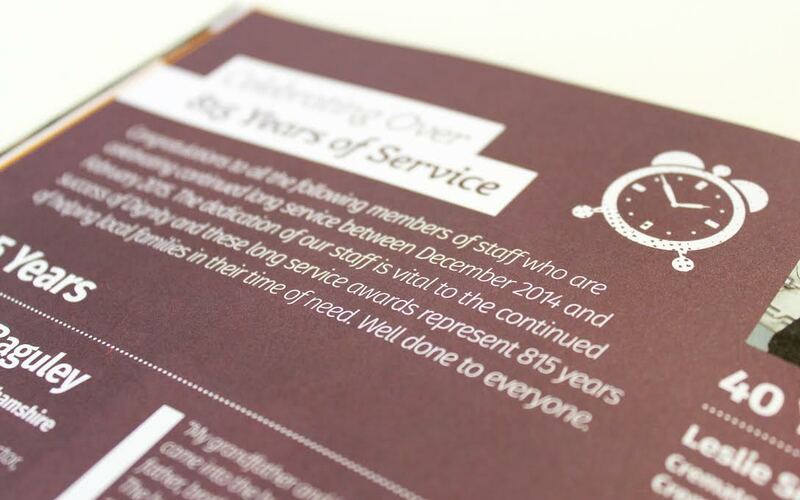 We have chosen this as our idea of the month, as the idea to update the layout and stock of Dignity Express has transformed this item of internal communications for the client and has been very well received staff of Dignity. 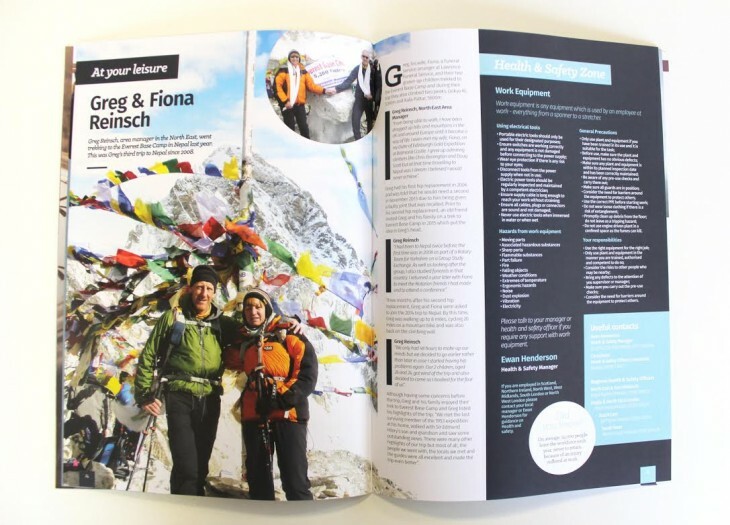 We chose this as our idea of the month, as the idea to update the layout and stock of Dignity Express has transformed this item of internal communications for them.